Holding 20 years experience, we are dedicated to providing customers with excellent accountancy services. We can help with companies accounts, tax returns, CT 600 and more. We have individual specialist skills which enable us to provide clients with a first class service. We also provide advice on how to improve and develop your business. We offer a wide range of accountancy, audit and financial services for businesses and individuals throughout Essex, Kent, and the London area. As a limited company we continue to build on our enviable reputation for providing excellent advice and first class service to our business and personal clients alike. As we're only a small team, we believe in a one on one service so we can give the customer our full attention and deliver the best possible service for the situation. Holding 20 years experience, we are dedicated to providing customers with excellent accountancy services. We are based in Wembley, Middlesex and hold much vital experience in providing all aspects of accountancy to sole traders, partnerships and small Ltd companies. We can help with companies accounts, tax returns, CT 600 and more. We take a very personable approach to business, and know all of our existing clients very well. This allows us to cater to your accountancy needs better, and you will find it easy to find out the relevant information as you deal directly with us. With evening and weekend work available, we operate a very flexible way of working. If you would like to know more about what we can offer you, please contact us today – we look forward to hearing from you. We operate mainly throughout West London, Kent & Essex – with clients as far as Spain. 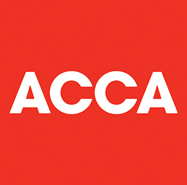 As a member of the ACCA (the Association of Chartered Certified Accountants), we have built up a great reputation for the services we offer. Whether you are a small company and require your accounts doing, or need your tax returns completing – we can help you. You will benefit from dealing with us, as you get to see myself and all of the work we do with you is one to one. If you have any problems, all you have to do is email or call us and we will be there to help you. Our service is friendly, reliable and personal. Whether you reside in any of these areas, or live somewhere else in the UK or even the world. We are more than happy to speak with you and help you with your accounting needs. Why you should work with us? AJB Accountants are registered as a limited company in England and Wales under company number: 05016227. With evening and weekend work available, we operate a very flexible way of working. If you would like to know more about what we can offer you, please contact us today. © UNITEL DIRECT LTD 2016, ALL RIGHTS RESERVED. FIND A BUSINESS ON THE TRADE FINDER OR THE BUSINESS INTERNET FINDER.